Simply 7 has the neatest program! Click HERE to be a member of one of the funniest squads! You could receive your own bag of chips!! Check out mine! 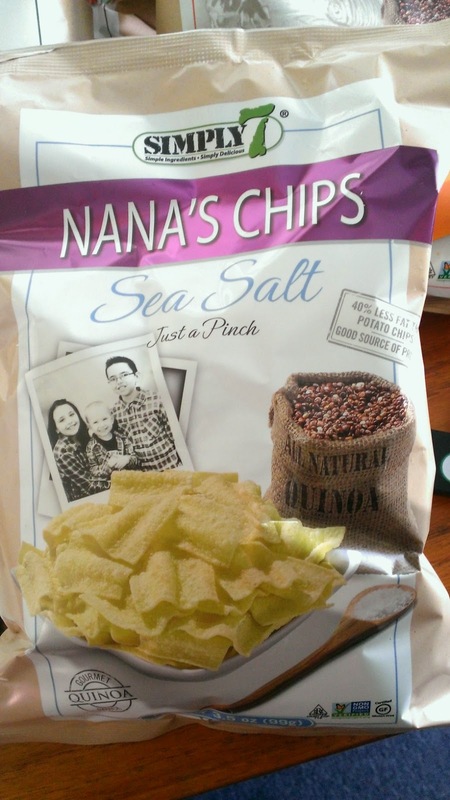 I named them Nana's Chips - the pic is my three favorite grandchildren. 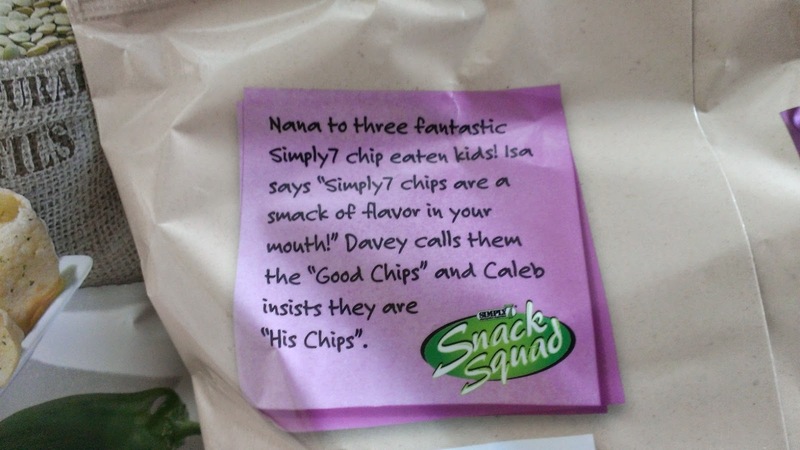 I asked each of them what they thought about Simply 7 chips - check out the bag for their answers. Click on the Store Locator tab to find the nearest location where to buy Simply 7 products. I live in a very small community in Wisconsin and I have three stores in my small town that carry Simply 7. Each variety comes in different flavors! 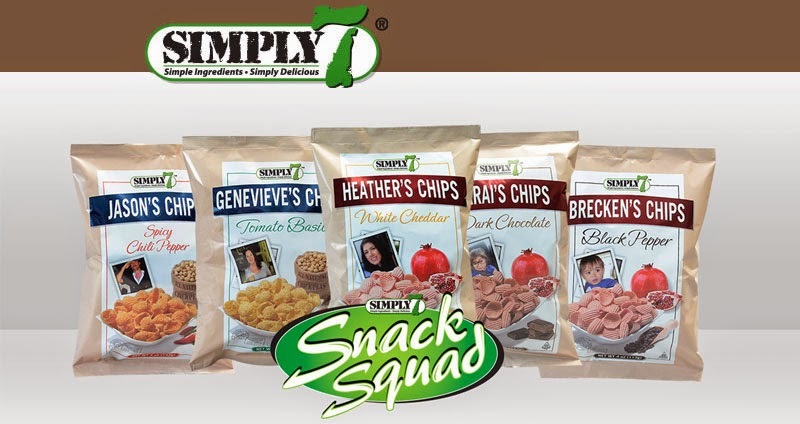 Every flavor is tasty but we do have our favorites: My favorite is the Sea Salt Quinoa chips....Isa's is the Cheddar Quinoa ... Caleb's favorite is the Hummus Tomato Basil and Davey is crazy about the White Cheddar Pomegranate chips. Gosh..writing this post I am getting hungry! Time for a chip snack break. We plan on eating the chips and then I am having the bag framed. Priceless memory maker! 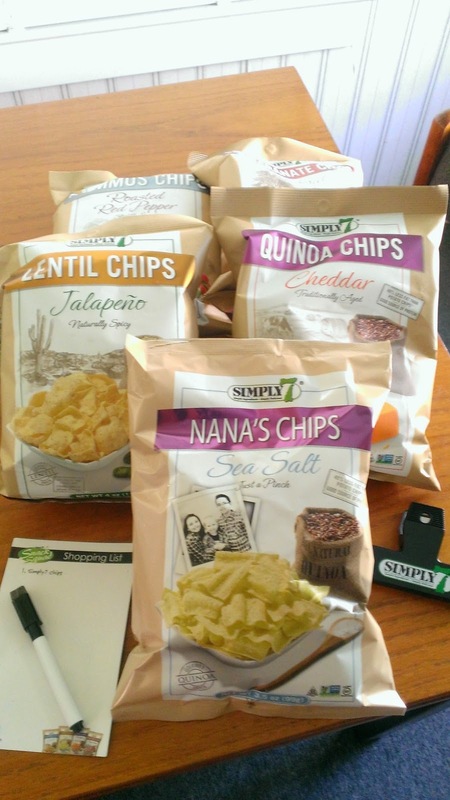 I love that Simply7 products are Gluten and preservative free! I am a big snacker and eat things like this all day long, so I would love to try these. The flavors are so cool. Bonus that they are GF! Looks like a great healthy snack. I will have to look into this for my chip loving son! Love these snacks! They are so yummy! Never heard of or tried these products although they do sound really tasty.I would love to try them for myself. Never heard of this before but it does sound really good. I will have to check this out some more and maybe get it for myself as well. These sound really good! And the ones you created are super cute. I love that they are GF! I simply must try the lentils flavor. They sound really good. I love the variety of flavors. And anything with hummus sounds great to me! I saw the black pepper chips and got excited. That flavor is perfect with alouette dip. Mmmm. Snacks. We are big snackers in this house. All of us! Good to have healthy snacks. Got to have lots of snacks around. These flavors sound wonderful. My son is GF and I am always trying to find something new and good tasting for him. Thank you for introducing me to this product- a must try on my end. I love snacks and these look healthy. I would love to try the Hummus flavour. I love the ingredients. We are always looking for health snacks. Gluten free snacks! Oh thank goodness, it is hard to find yummy GF foods. Love that these are natural, healthy, gluten-free alternatives to regular chips! Awesome! It's great to see more gluten-free foods becoming easily availabale! Woo hoo! I love coming across new products for our gluten free lifestyle! It is difficult to find good GF chips! Great flavors in gluten-free is hard to find. I want to try several of those! thats a great giveaway. my sister will have to check this out. I like that they're gluten free! They look yummy, too! Looks like there are several that I would like to try here. I like that they're gluten free, good flavors that are GF are coming a long way! YUM, I love that these are gluten free! What a delicious bunch of snacks! There is nothing that I love to do more than snack. These chips would be perfect. I like that they don't have the trans fat and are gluten free! I haven't heard of Simply 7 before. I do go for the healthier products and these surely fit that category. Even the flavors are unique. I am putting a note on my shopping list to look for it. My son has Celiac disease. I love seeing more gluten-free products out, especially snack items. Very cool! Snacks are hard because they are usually filled with crap. I'd love to try these. I will have to try Simply 7. I'm glad they are gluten free. That's important to me. I have never heard of this brand before I will have to try this. They look so yummy. Ooh, I love lentils. I'll have to try those lentil chips! Oh I definitely want to try out those sea salt, or cracked pepper chips! 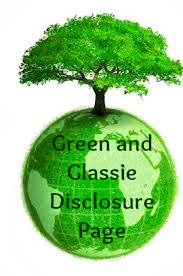 Love they are gluten free and not filled with junk! Some of those flavors look really good. I love anything Sea Salt. It is great to find a snack that is both delicious and good for you. My first time learning about Simple 7. It's seems like a good snack with 0 grams trans fat and no cholesterol. I have heard of this chips and ppl say they are so good! I would love to try them out as I am wanting to be healthier! I love that there are no additives or preservatives. It is such a healthy alternative to snacking. i learned they are preservative free which is awesome!